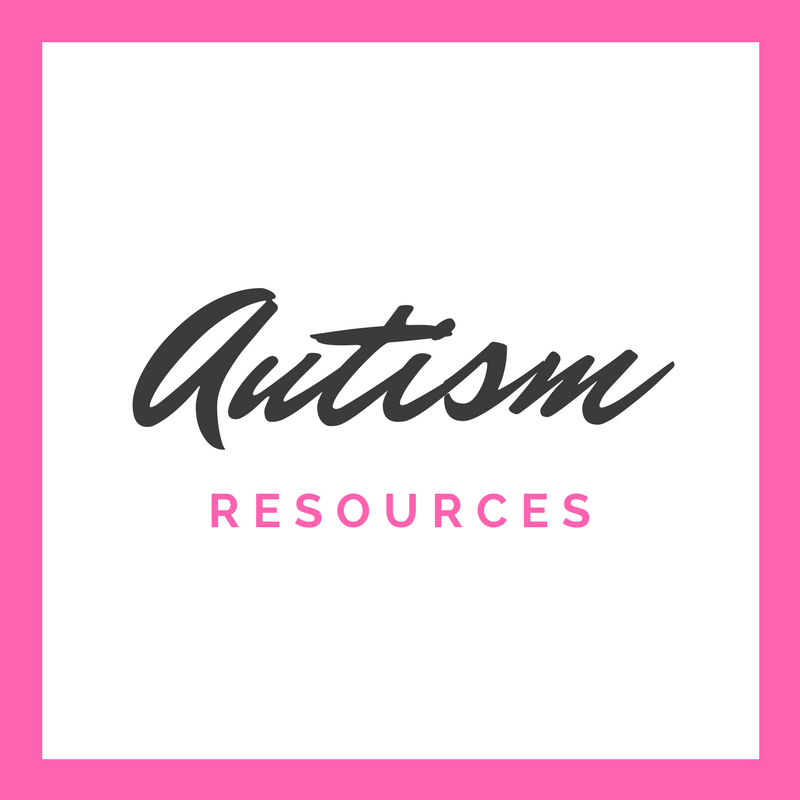 Great tips and strategies to help kids with autism or sensory issues get more sleep. Sleep issues can be common in kids with autism. Thankfully, J has always been a good sleeper. But he has always been an early riser, regardless of what time he goes to bed. He was also sometimes quite difficult to get to sleep because he would be so fidgety and fired up before bedtime. However, once he was asleep, he was asleep for the night. 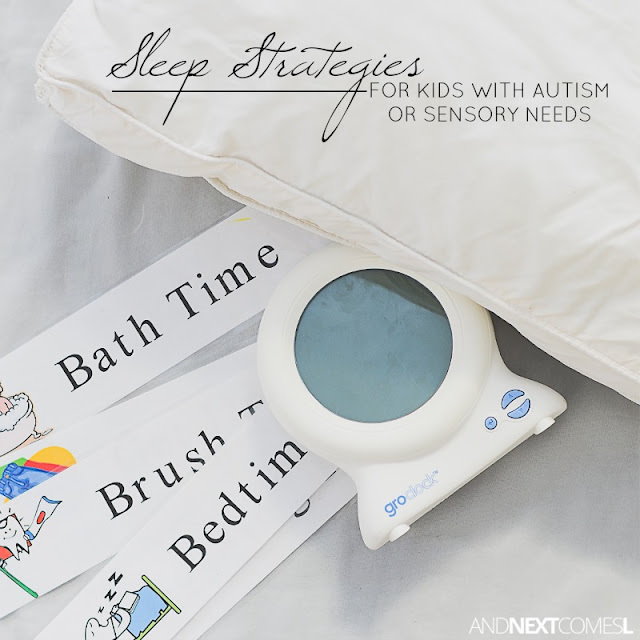 So over the years, we have come up with a pretty solid list of sleep time strategies that work for him, as well as for our youngest son, K. The sleep strategies for kids with autism below are things that we do to target a variety of sensory systems: visual, olfactory, proprioceptive, tactile, and even oral motor. 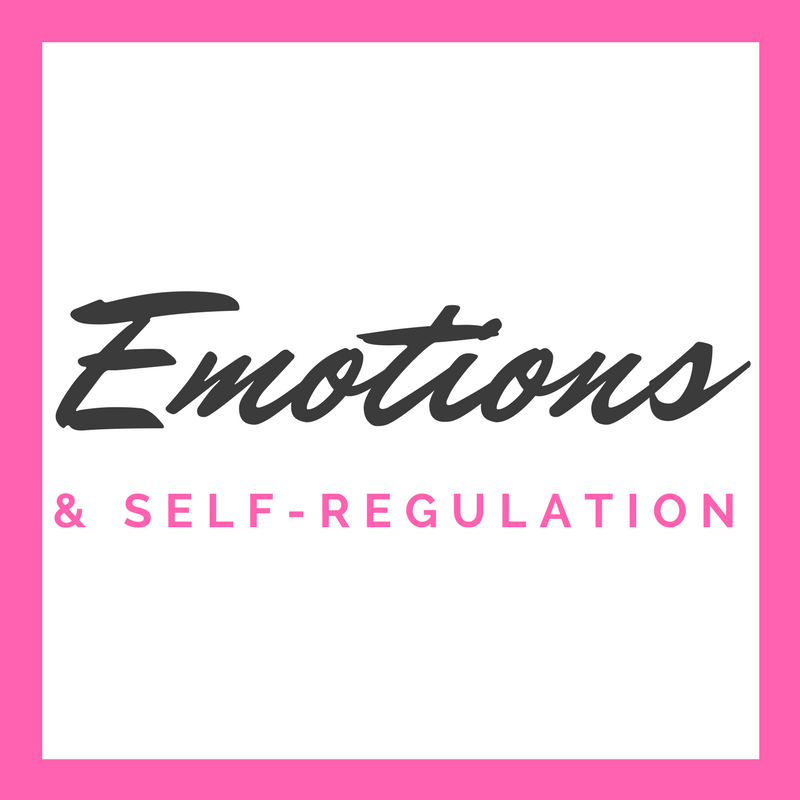 They address his specific sensory needs, which is why I think they are effective for him. These are the strategies that we use and implement for bedtime success. They work for us. That doesn't mean they will necessarily work for you or your family, but instead, they may give you ideas of things to try. We have a set routine that we follow for bedtime and it has been the same since my kids were newborns. I know this strategy seems like common sense, but I'm always surprised to learn of families who do not have a regular bedtime routine. Our kids thrive on routine, as do many other kids, because it teaches them to know what comes next. There are no surprises. They know that sleep time follows reading books. 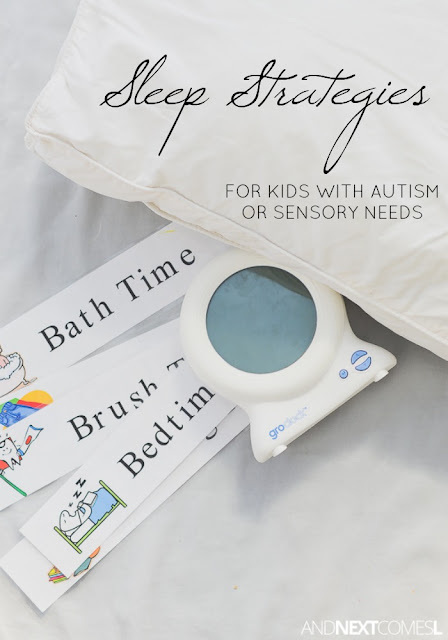 We also use an electric toothbrush to provide oral motor sensory input before bedtime as a way to reduce chewing on books or toys during the bedtime routine. We don't use our visual schedule as much as we used to when our kids were toddlers. 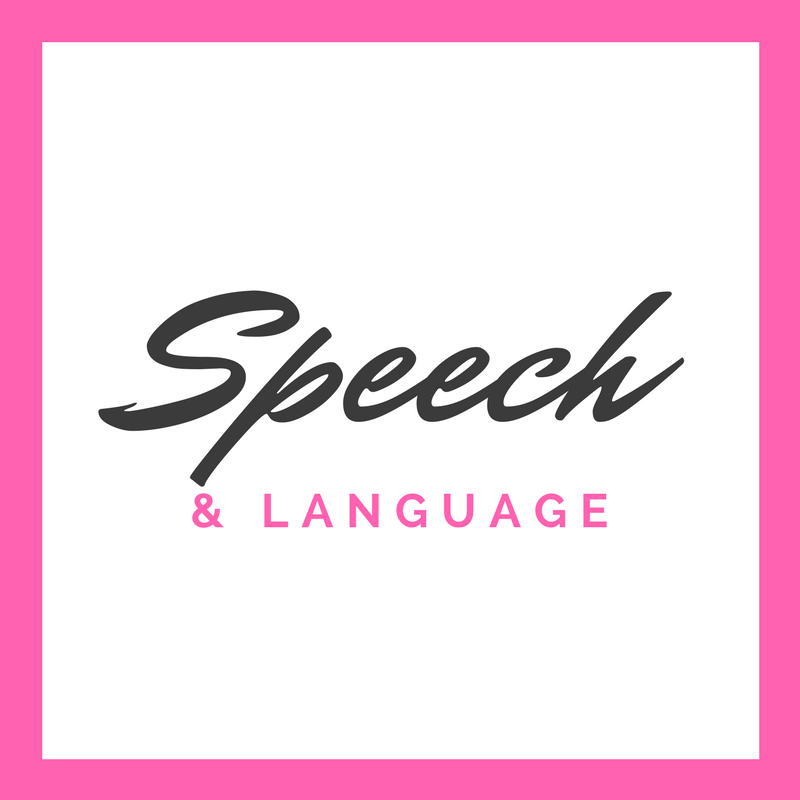 The visual cues helped J tremendously when he was little, especially since our visual schedule used written words and pictures. You can grab a copy of the exact visual schedule that we use here. 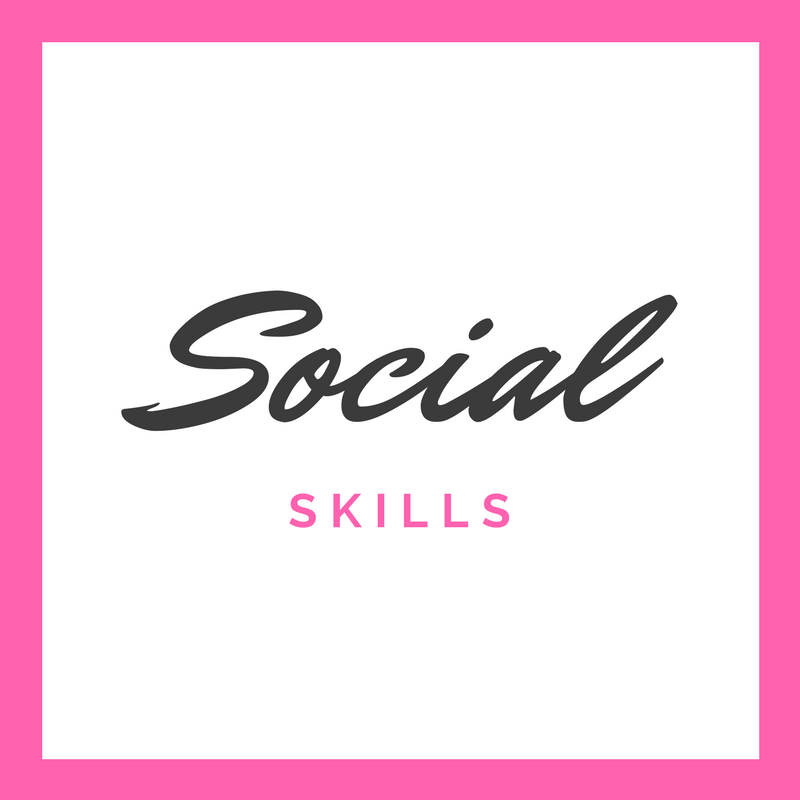 It is a free printable! 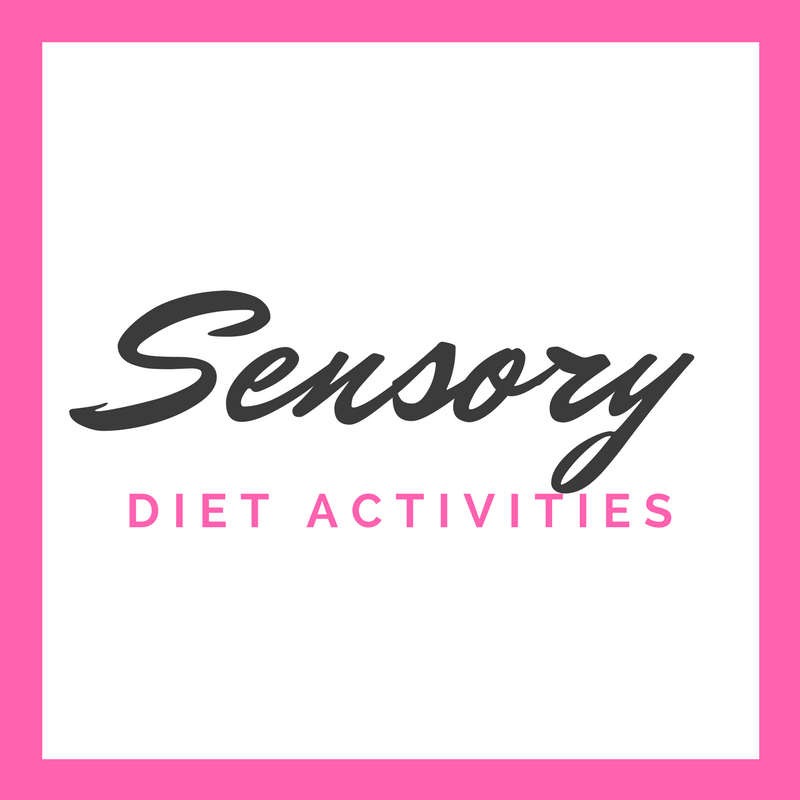 Proprioceptive sensory input is calming for kids and can help energetic kids settle down into a slower rhythm. 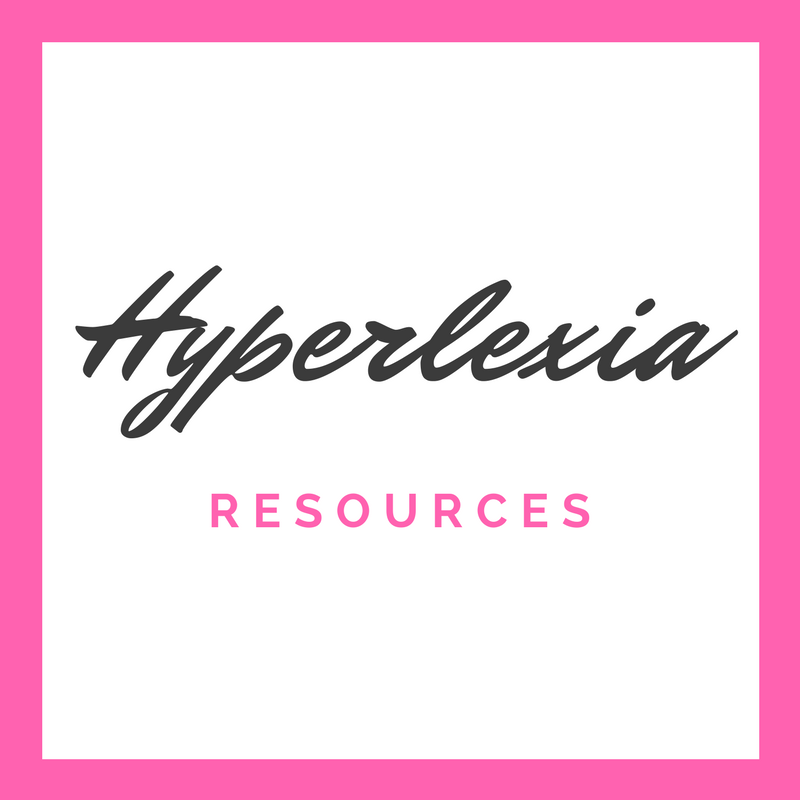 So if your kids are a bundle of energy before bed, then try squishing them with a body pillow, using a weighted blanket while reading, or encourage them to crawl under a lycra bedsheet (see our DIY stretchy sheet tutorial) while reading. We have noticed a huge difference in J's ability to settle during bedtime since we started using our homemade stretchy sensory bed sheet on his bed. He crawls underneath and the light pressure is enough to keep him from wiggling and fidgeting during story time. Other alternatives would be to try a weighted blanket or weighted stuffed animal. 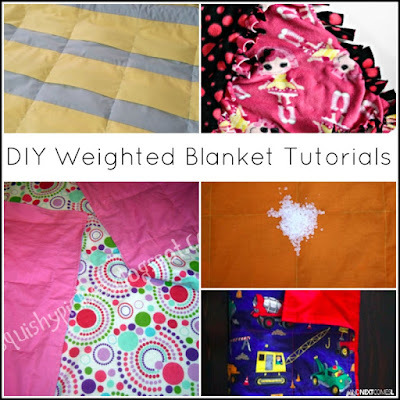 You could try one of these 13 homemade weighted blanket tutorials if you are the DIY type. If you're not the DIY type, then you can try buying a weighted blanket. 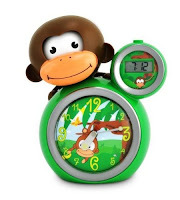 We started off using Momo the Monkey sleep training clock and J used to carry that clock everywhere with him. He never did use it the way it was intended and it eventually it was dropped one too many times and would no longer open and close its eyes. 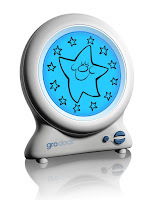 However, when we received Gro-Clocks one Christmas, J was more interested in using it to help him know when it was time to sleep. He still doesn't use it as a visual aid for when it's time to wake up though and likely never will since he's such an early riser, but it has definitely been a great help for settling to sleep. The OK to Wake! Clock is another alternative, although we have not used this particular one. Again, this strategy is kind of obvious, but mentioning it because it is still important. We like to jump on a trampoline, go for a bike ride, or even go for a walk before we do our bedtime routine. It's a great way to burn off excess energy before bed and really wear out the kids. The fresh air always helps them sleep soundly for the night. I swear by Himalayan salt lamps, not just for the kids, but for me. I always sleep so amazing when we have our salt lamp on for the night. There's lots of health benefits to using a Himalayan salt lamp and we have definitely noticed the benefits ourselves. They also make great night lights too with their soft glow. Every Sunday night, my kids have a detox bath. It helps them settle for the night, but we also see improved focus and mood for the following days. They also get sick less. You can read all about how to do a detox bath and why it's good for kids here. When the kids are wound up before bed, even after some fresh air and exercise, sometimes they need a little extra help to settle down for the night. A bit of essential oils in the diffuser helps them settle down for the night and even helps them sleep better. You can do something as simple as a drop of lavender on a cotton ball and place it in their pillow case. Or you can try our DIY bedtime blend, which smells amazing! 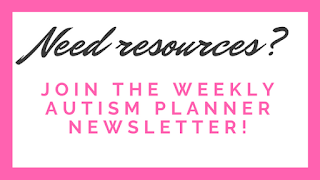 This post is part of a monthly series called Parenting Children with Special Needs. 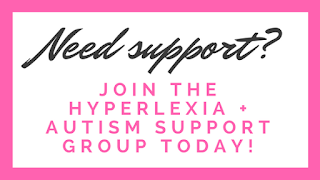 This month's topic is support and you can find the other posts regarding this topic below. You brought me back to when the kiddos were younger. Lol. Those bedtime routines were so crucial. I love some of the product ideas you mention here. I also love that you mentioned being outside and exercising before bed. Thanks, Renae! I agree that bedtime routines are crucial! I love these ideas and use many of them myself. 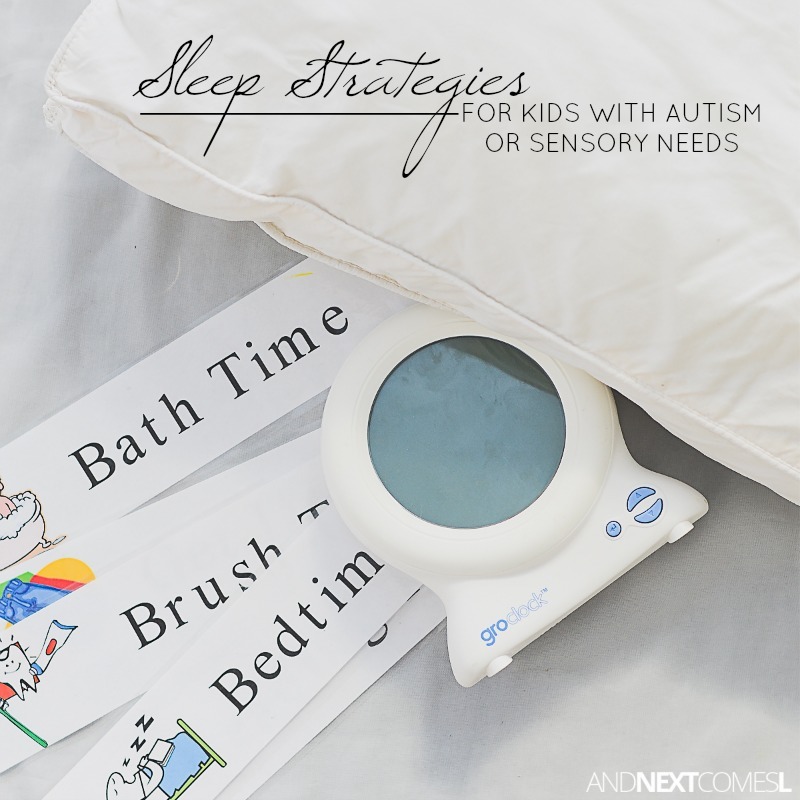 Having a routine and a schedule and being aware of my kids' sensory needs are key to getting a decent night's sleep in our family. 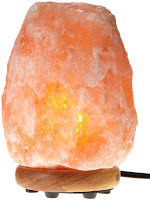 And after reading your post I will also be looking into Himalayan Salt Lamps too! Thanks, Kirsty! I really love our Himalayan salt lamp! Hope you love yours too! 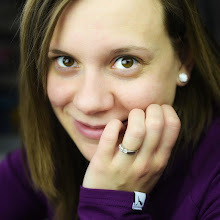 Hi, Michaela! Great question! I wonder if you could consider trying the stretchy sensory bedsheet for the summer months (I have a DIY tutorial for it), which would provide similar input, but is much lighter in terms of fabric and warmth. Otherwise, maybe you could try making a weighted lap cushion that he could have on his lap. Since it would only cover a small portion of his body, he shouldn't get too hot.